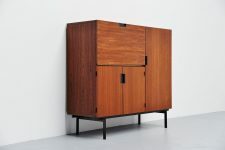 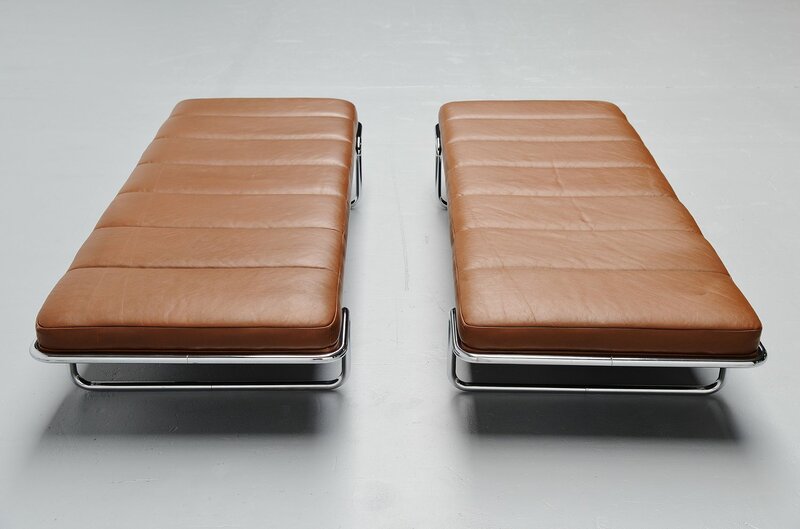 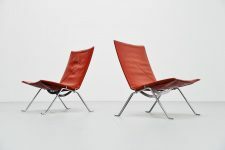 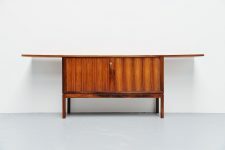 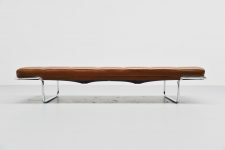 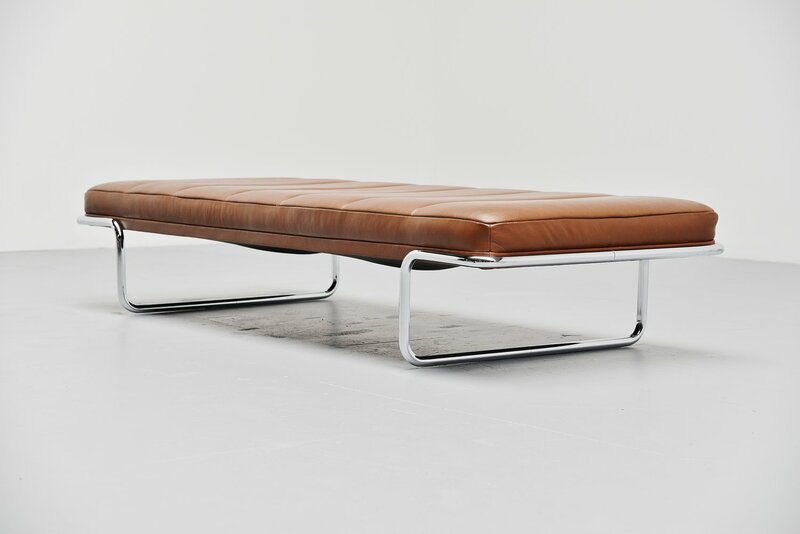 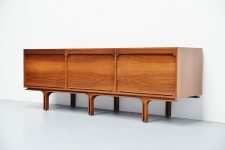 Stunning pair of daybeds designed by Bernd Münzebrock for Knoll International, Germany 1973. 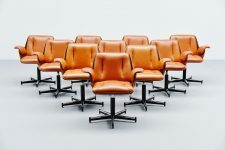 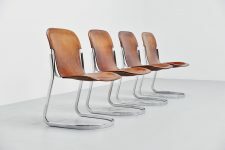 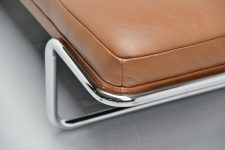 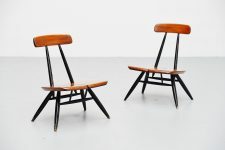 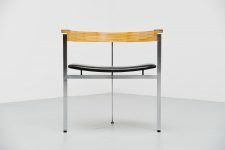 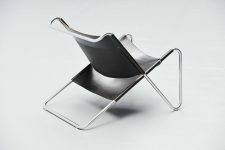 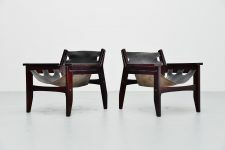 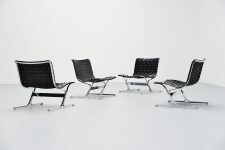 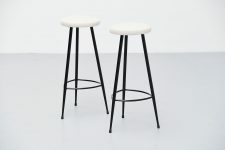 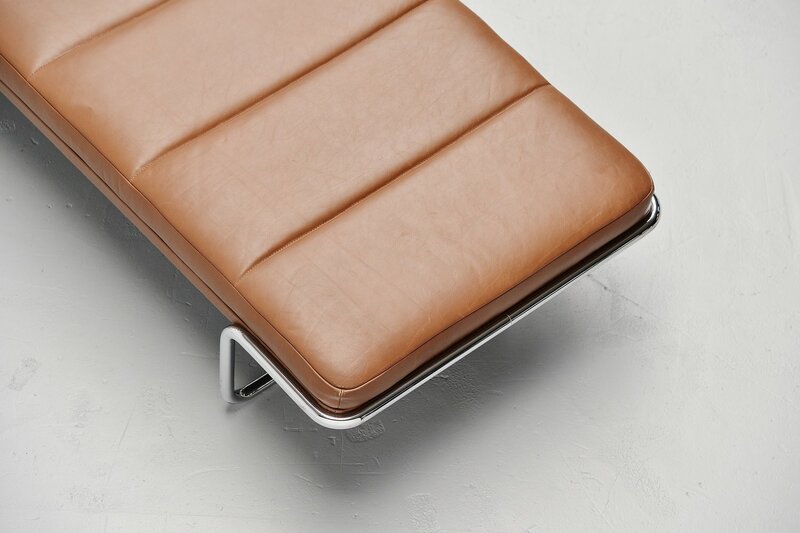 These chairs have a chrome plated tubular metal structure and brown leather seats. 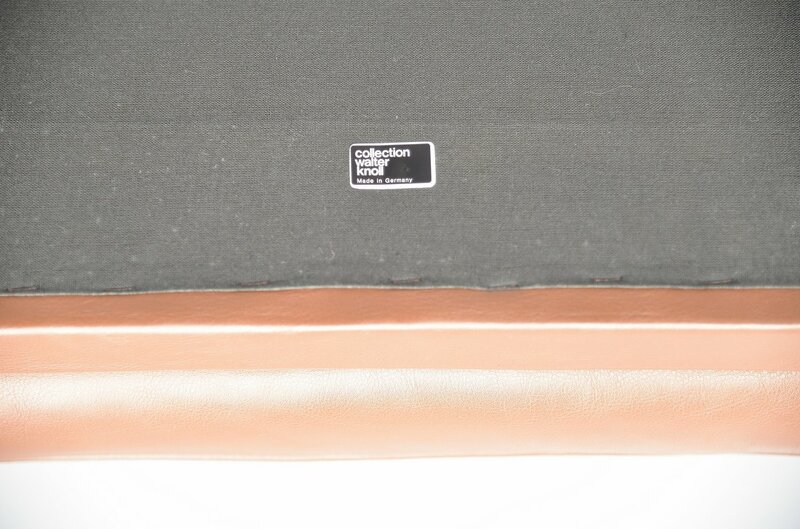 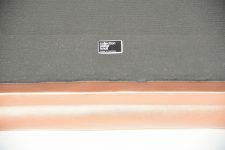 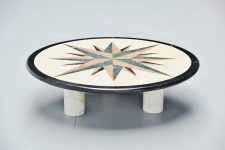 The daybeds are in excellent original condition and they are both marked with the Walter Knoll tag underneath. 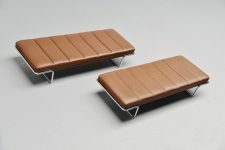 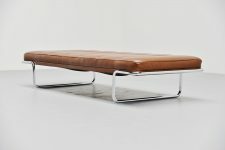 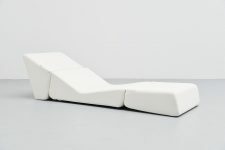 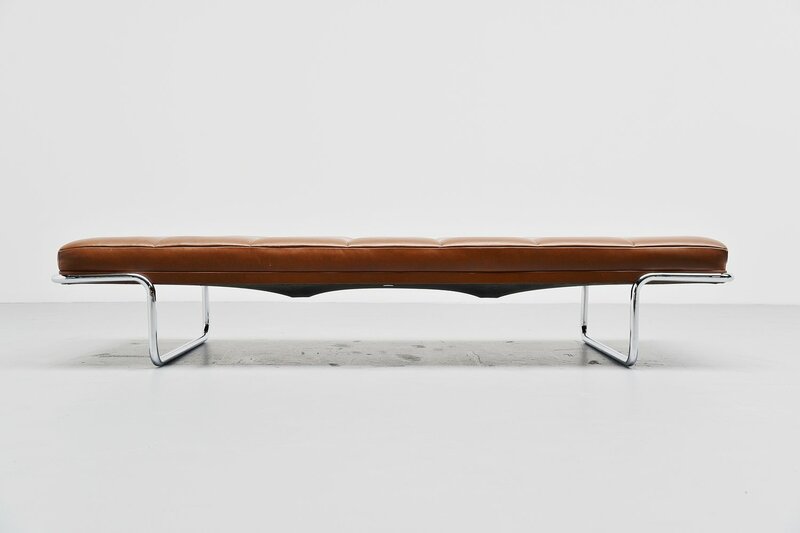 Very nice simple shaped daybeds, who look a bit like the PK80 by Poul Kjaerholm. 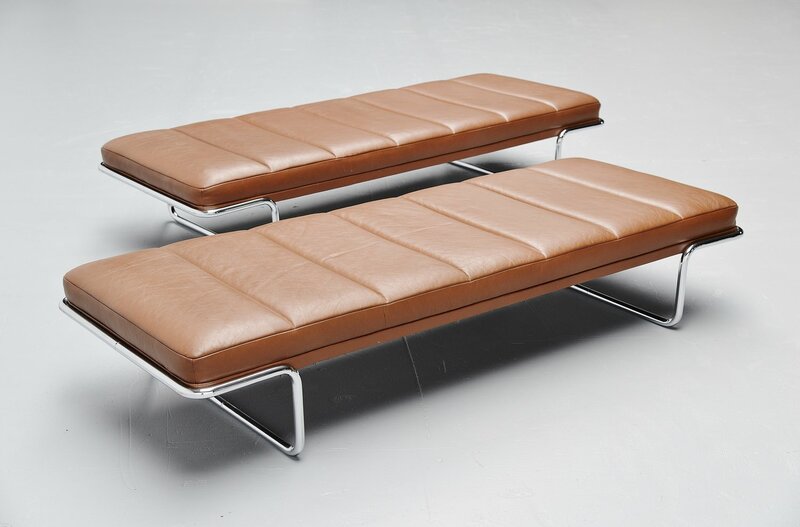 Hard to find such daybeds in a matching pair.